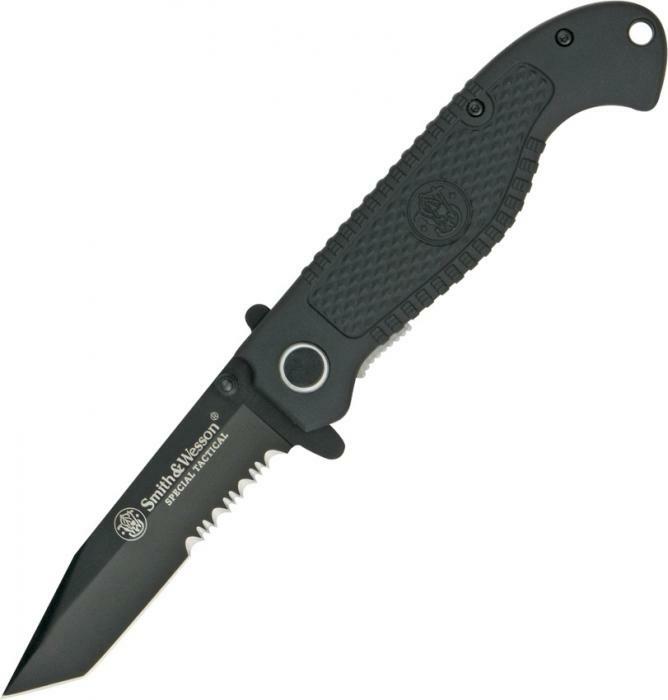 Smith & Wesson Black Special Tactical Linerlock Folding Knife. 4 5/8" closed. Partially serrated black finish stainless tanto blade with dual thumb studs. Black rubberized metal handles with textured sure grip inserts. Lanyard hole. Black finish pocket clip.